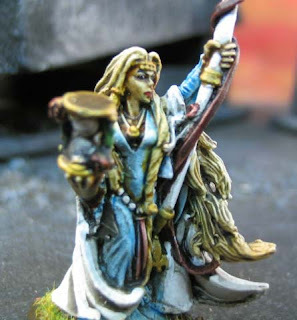 Our Miniature Painting Service Blog - Commentary, Reviews and Articles on Wargaming, Economics, and Society. I have a splitting headache. It’s not usual. I don’t like it. Maybe a rapid change in barometric pressure. We went from springtime to four inches of snow. Thank goodness it’s Monday! I couldn’t wait to get back to work. I tried staying up until midnight on Sunday but it was no use. I passed out early. Anyway, it was snowing quite a bit this morning. I was up bright and early and got out of the house same time as the kids getting off to school. The magnet order came in today. I ordered about 800 of the magnet type we use the most which is the 1/8″ disc. It’s great for Tau battlesuits. The big news is that I finished the Oceanic Eldar and gave the a proper documentation. I tracked down Mike, remembering that he had finished his Blood Angels, so we’re due for some Red vs. Blue on Wednesday. It’s bad timing since we’re making preparations for Adepticon that same day. But it must be done. We’re flying out on Thursday morning. That’ll give us time to really settle in, maybe pitch in with the preparations. We plan on travelling light as usual, just some fun pieces and a few backdrop items… and some give-aways. I’m up three pounds. That’s a bad thing. All the sub-standard stuff I’m eating. I’ve got Tamie making me some healthy food tomorrow starting with a bowl of oatmeal in the morning! I left work early today, heading up to Cabela’s with the family. It’s a sporting/hunting goods store. Amazing place. They have all sorts of museum quality displays and also a huge freshwater fish aquarium. I had a blast with the kids– eating raspberry licorice and feeding the trout. At this exact moment I’m watching Firefly. I love that show and ever so highly recommend it. I’m booking orders for April if anyone is interested, still a few slots open for painting late in the month. Things are a bit slow, but not overly so. I gave my magic cards to my wife for safe keeping until we are booked out to a certain level. Unfortunately, the mark I set was too ambitious so I’m not like to see them again for a good long while. Just as well. I need to stay on track. Here’s a huge figure (giant-sized) from a new company. Don’t know anything about them, really. But here’s the link. Looks like there just tweeking pretty much the same list over and over again now. This one looks like it’s going to be wrap. With just a minor twist here or there, but there a 90% chance this is what your going to see come late November/ December. 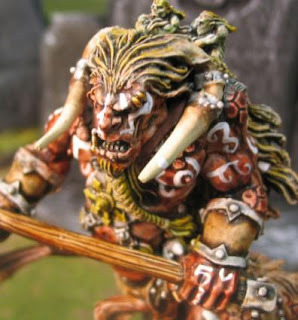 New models: Bestigors, Mino’s, Dragon Ogre, Shamans, Beastlord/Wargor & Gorgon. Lords can take 100 pts of magic items & 100 points of Chaos Mutations/Gifts. 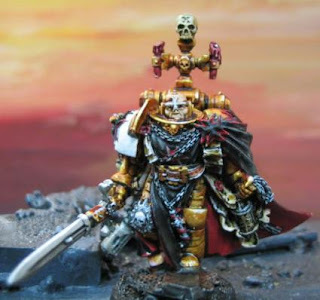 Hero’s can take up to 50 points of magical items and 50 points of Chaos Mutations/Gifts. Spell Lores: Beasts of Nurgle, Slaanesh and Tzeentch are getting there own new lores. Very close to the WoC new lores with minor change to the lists. For Tzeentch player’s I was told boon of Tzeentch is in there. Inside thoughts from play tester’s are: That a Doombull with Chaos Mutations can rival a Vampire Lord as a combat character now. Plus Chaos Armour & Stone Skin give him nice protection at 2+ armour save. He expects Doombull to be the most popular Lord choice! 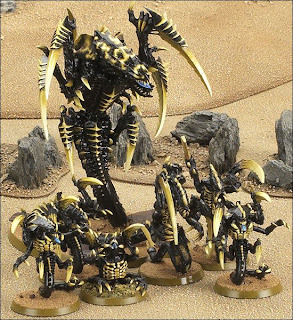 Also by turning the Centigors into Fast Cav there no need to add flyers into a Beast of Chaos army. 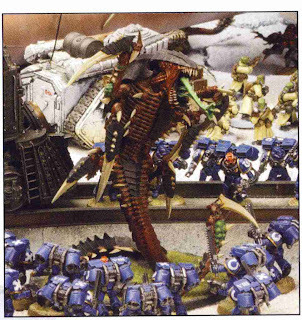 Between this move and the new Gorgon & Chaos Mutations, BoC should be able to compete very well in 7th edition. I was told that they feel this list will pretty much go to print. That Games-Workshop and play testers are all happy with the end results so far. Will post more information as I get it. As I asked for the new lores so I can play test with my friends myself. 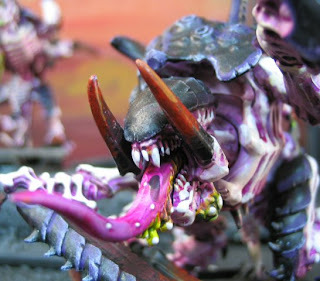 Evidently, this is the goodie that the Tyranids are going to get on their next revamp. This is one of my favorite models. Here is the Forge World resin Trygon. Can you spot any differences? Principled freedom activism requires informed workers with a strong grasp of the ideas we champion. The more immersed we are in the reasons for our beliefs, the better we are able to communicate our message and achieve our goals. These recent books should be of great interest to members of Campaign for Liberty. For the book on the financial collapse, how it started, and what to do about it, see Tom Woods’s newest masterpiece Meltdown: A Free-Market Look at Why the Stock Market Collapsed, the Economy Tanked, and Government Bailouts Will Make Things Worse (Regnery, 2009). Woods explains how the Federal Reserve, Fannie and Freddie, and other government programs meant to subsidize housing caused the real estate bubble. He sheds light on the whole crisis, critiques the bailout, provides an accessible explanation of the Austrian Theory of the Business Cycle, discusses past booms and busts including the Great Depression, and discusses the importance of sound money to a free, functioning economy. The book anticipates the other side’s arguments and refutes them in an understandable way. Meltdown is short, comprehensive, a pleasure to read, and could not be more needed today. Presidential power has been a top issue under the last couple presidencies, but the abuses go far back in our history. Who were the best presidents, from the standpoint of liberty, peace, and prosperity? Who were the worst? Ivan Eland ranks the presidents in his well-researched and well-written tome Recarving Rushmore: Ranking the Presidents on Peace, Prosperity, and Liberty (The Independent Institute, 2009). While most historians, pundits, journalists, and political scientists tend to favor “great” presidents who waged major wars and expanded their own power, Eland judges America’s chief executives on the basis of how closely they adhered to the Constitution, avoided unnecessary war, and protected Americans’ personal and economic liberties. Find out why Woodrow Wilson, Franklin Roosevelt, and Ronald Reagan tend to be overestimated while overlooked presidents like John Tyler and Warren G. Harding are the true greats. Now that the Bush years are over and the Obama era is well underway, it is an important time to reflect on why government power, whether controlled by the left or the right, is a great danger to liberty. Lew Rockwell’s newest book, The Left, the Right, and the State (Mises Institute, 2009), identifies the threats to liberty coming from both sides of the modern political spectrum, is uncompromising in its analysis of statist ideology, and points the way toward a principled alternative: freedom. Rockwell dissects socialism, economic ignorance, central planning, environmentalism, anti-capitalism, and invasions into economic liberty; he critiques warmongering, the drug war, nationalism, and corporatism; he defends the free market against all its enemies and finds threats to liberty in government operations ranging from drunk driving laws to the census. For a full understanding of what we freedom lovers are up against, this beautiful book is a must-read. If you have not yet read Andrew Napolitano’s blockbuster A Nation of Sheep (Thomas Nelson, 2007), what are you waiting for? The book is a wonderful treatment of the war on terror’s threats to our liberties, public complacency in the face of government lawlessness, the danger of censorship, as well as the importance of a political culture that respects individual rights. And don’t miss his forthcoming book Dred Scott’s Revenge: A Legal History of Race and Freedom in America. This book explores the origins of American slavery, the problems with early America in sticking to its ideals, the history of segregation and Jim Crow, the Tuskegee Experiment, the trouble with legal positivism, and how both parties exploit racial tensions. The Spanish edition is currently available for pre-order here. These books will help you arm yourself in the battle for our liberties and articulate the ideas we believe are essential to a free society. 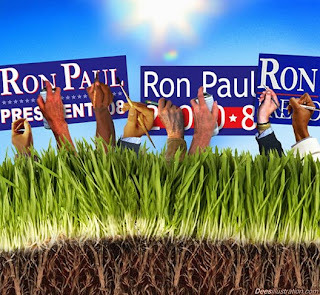 For more information on Campaign for Liberty’s core principles of individual liberty, constitutional government, sound money, free markets, and a noninterventionist foreign policy, check out our Education section at CampaignforLiberty.com. I’m about to go on another reading binge. This time the topics are: US Constitution and Economics. I have already ordered two related books from Ron Paul’s reading list. However, can anyone recommend a book or two on these topics that offer a differing viewpoint? Up to Provo Temple, then back to the studio for a late night. I got it pretty much all wrapped up. And I mean I really got it all sewed up. We had unexpected family from out of town and my wife was up north visiting leaving me with Griffin and Willow. She is 14 weeks old now, and getting more interactive. She smiles and squirms when I “dance” with her (letting her grab my thumbs and then moving to the music). So, it was a slow and delightful day at home. I also made some serious inroads on the Oceanic Eldar finishing two Wave Serpents, an Autarch on fighting platform (counts as a jetbike– it’s a converted vyper), and four Jetbikes. I am twiddling my thumbs… ready to set up projects. I’ll be pulling a part-day shift tomorrow so you can expect there to be a good response time. I am entertaining a new idea: maybe the government isn’t so bad, overall. I’m a political explorer and this is an avenue that needs to be looked at, to be intellectually honest. Your rights are natural and CANNOT be rescinded by the making of a law. Check out these Black Templars. I am just twiddling my thumbs. Ready to set up projects now to be slated for completion. At this moment in time I am watching a special episode of Ben 10 with my kids. We love that show. Prepping and processing of about ten new projects. Four or so new projects reviewed and checked in. My Eldar came out of assembly. I added some of my own mods to them and they are ready to paint. It doesn’t look like I have an opponent for this weekend, though.